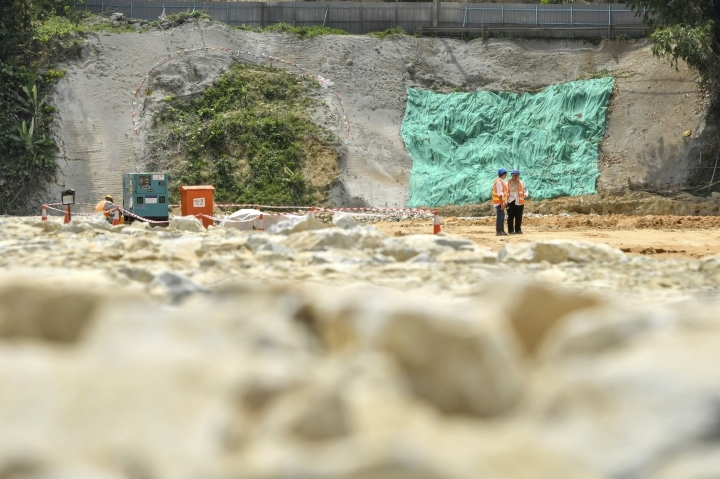 KUALA LUMPUR, Malaysia — Malaysia's government said Friday it has decided to resume a China-backed rail link project, after the Chinese contractor agreed to cut the construction cost by one-third. 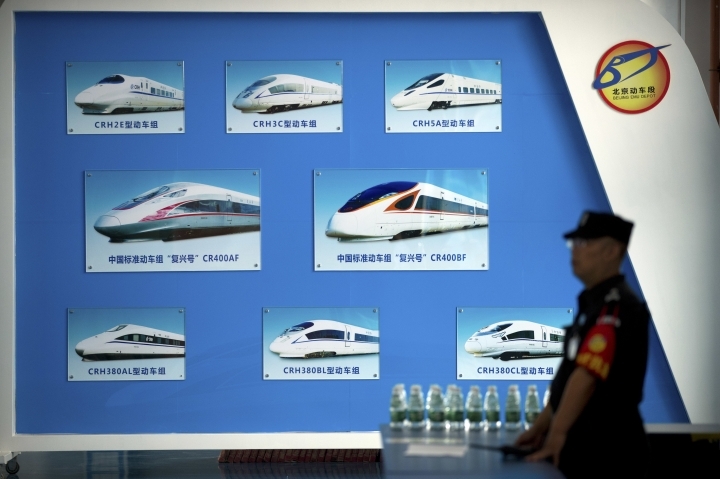 The deal follows months of vacillating over the East Coast Rail Link, which connects Malaysia's west coast to eastern rural states and is a key part of China's Belt and Road infrastructure initiative. It should also help bolster ties between China and Malaysia that were strained when Prime Minister Mahathir Mohamad suspended the project after his election last May. 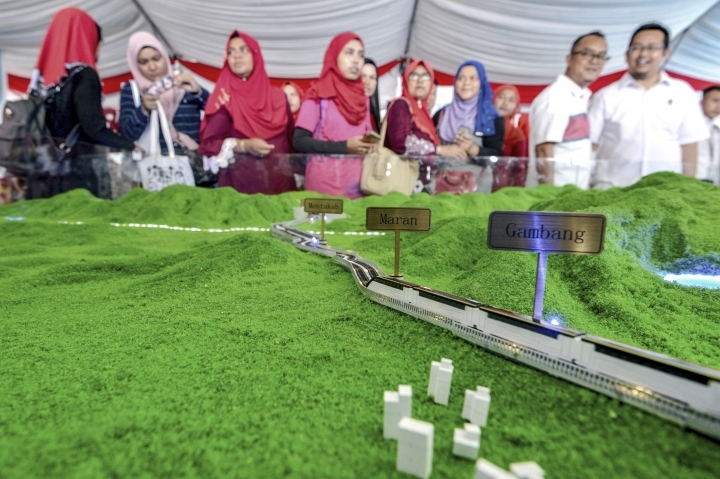 The prime minister's office said in a statement that the construction cost of the first two phases of the project will be cut to 44 billion ringgit ($10.7 billion), down from the original cost of 65.5 billion ringgit ($15.9 billion). It welcomed the signing of a supplementary agreement between Malaysia Rail Link Sendirian Berhad and state-owned China Communications Construction Company Ltd. to revive the project. "This reduction will surely benefit Malaysia and lighten the burden on the country's financial position," the statement said. In Beijing, Malaysian chief negotiator Daim Zainuddin told Malaysian media that the rail link will be 40 kilometers (24.8 miles) shorter at 648 kilometers (402.6 miles) but will remain a double-track line. Daim was quoted by the New Straits Times newspaper as saying the cost savings was a "big achievement." The lower cost also means the government can save in terms of interest on a lower loan, he said. He said the agreement will bolster bilateral relations and encourage more Chinese companies to invest in Malaysia. A Chinese Foreign Ministry spokesman, Lu Kang, hailed the agreement. "We are happy to see that the two sides have reached a settlement through friendly negotiation. I also hope that the two sides can resume the project construction as soon as possible," he told reporters. Mahathir's government has axed or reviewed large-scale infrastructure projects to rein in surging national debt that it blames mostly on corruption in the previous government. The government last year suspended works on the rail link pending renegotiations. Mahathir initially suggested the rail project will be called off because the high cost could burden the country with debt for decades. But he later said negotiations were ongoing and the government hadn't made a final decision. The project is largely financed by China and the main contract was awarded in 2016 to CCCC by former Prime Minister Najib Razak. Mahathir's government has said the final cost could balloon to more than 100 billion ringgit ($24.2 billion) but bids to terminate the project could pose a challenge to the government, which would have to pay compensation and risk angering China, Malaysia's largest trading partner. Apart from the rail link, the government last year also cancelled two China-backed pipelines costing 9.3 billion ringgit ($2.3 billion) after discovering that 90 percent of the project's costs had been paid but only 13 percent of work had been completed. The government has said it is investigating whether any money in the rail project had been channeled by Najib's government to repay debts at the 1MDB state investment fund. A massive financial scandal at 1MDB led to the election loss of Najib's coalition last May and Najib is currently on trial for multiple corruption charges linked to 1MDB. Copyright © 2015 - 2019 Business - Malaysian Talks. All Rights Reserved.